As a first time parent, you spend lots of time trying to decipher what your baby wants. Each time they cry you think, “Is he hungry, does he need a diaper change, is he tired? Maybe he’s gassy or not feeling well…” It’s a guessing game that goes on for quite a while. Even when you think you’ve figured it out, the sound of their cry changes and you have to start all over again. Yes, you get your baby on a schedule and are able to more easily figure out if it’s time to nap, time to eat, or time for a diaper change. But, there are still those times when it can be hard to decipher what your baby wants. This struggle is nothing new. Parents have been trying for years to figure this out. I’m sure there have been many parents who, at one point or another have said to their child, “I wish you could talk already so you can tell me what you want”. I know I’ve done it. Numerous times. One way communication is very difficult so, it’s a good thing someone thought, “Hey, what if I try to do sign language with my baby”? I think baby sign language is a fantastic way to communicate with your child. I have been reading the book Baby Signing 1 2 3 and been doing sign language with “G” since he was 3 months old and I love it. I know what you’re thinking, “Isn’t sign language hard? How am I going to learn that”? Believe it or not, it’s easier than you think. Remember, you don’t have to be fluent in sign language; you’re just learning some choice words to help your child better communicate with you. You can choose the number of signs you wish to learn. 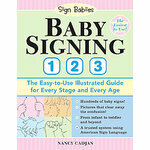 I know it may seem intimidating, but if you get a book like “Baby Signing 1 2 3”, that is filled with many pictures and explanations, learning baby sign language becomes a piece of cake. Now, don’t expect your baby to start signing right away. Most babies don’t make their first sign until they are between 8-12 months. But, that doesn’t mean they don’t understand what you are signing earlier on. For the past couple of months, when it’s time for “G” to eat and I do the signs for “hungry”, “milk”, and “eat”, he has become very excited and would lunge towards my chest. He understood it was time to eat. He shows similar signs of understanding when I sign “music”, “lights”, “read”, “change diaper”, “more”, and “all done”. Since he turned 8 months old, I have been watching and waiting for the first sign. He is now almost 10 months old and last week it happened. He signed “milk”. I wasn’t sure at first if it was intentional or if he coincidentally did it, but when he did it the next day at dinner time, I realized he knew what he was doing. I can’t begin to tell you how excited I was to see those little fingers opening and closing as they formed the sign for “milk”. Now it’s not just me talking to him, he can talk back! I am waiting on the edge of my seat for his next sign and am so happy I have a new way of communicating with him and that he can communicate his needs back to me. If you get frustrated at not knowing what your baby wants and wish you could communicate with them better, I highly recommend trying baby sign language. Get this book and get going! What do you have to lose? Nothing! What do you have to gain? 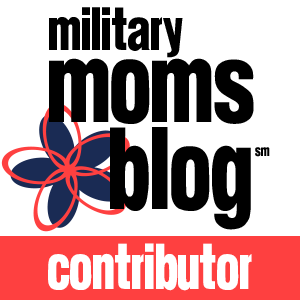 A world of better communication with your child. 5 Responses to "What are you saying?" We had great success with sign language for the first two. And we’re currently doing it for #3. I’m a firm believer. Good luck and happy signing! Thanks so much for posting this, it’s very encouraging and makes me want to go buy that book! Chloe knows a few which help so so much, and I think adding more would be even better. You should definitely check it out Ranay. It’s such a great book and I love using it.